Estadio Cuscatlán, often referred to as El Coloso de Monserrat, officially opened on 24 July 1976 with a friendly match between the El Salvador national team and German side Borussia Mönchengladbach (2-0). The stadium twice underwent small refurbishments, the first in 1997 and a second in 2007, which included the installation of proper seats, a video board, and a sound system. 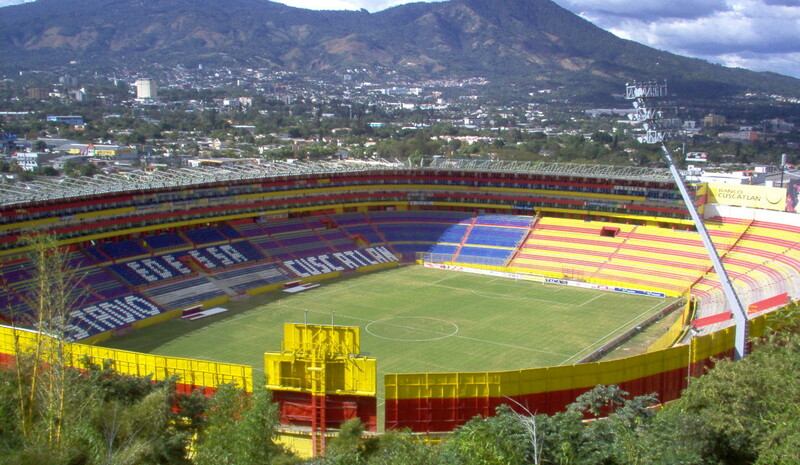 Estadio Cuscatlan is privately owned and can be rented by any association or club. It is the standard playing venue of the El Salvador national team, home of Alianza FC and Atletico Marte, and used by other clubs for high-profile matches. The stadium could initially hold 54,000 spectators, but FIFA requirements have reduced this to its current amount of 32,000. Capacity was recently further reduced to 28,000 for the 2014 World Cup qualification matches. 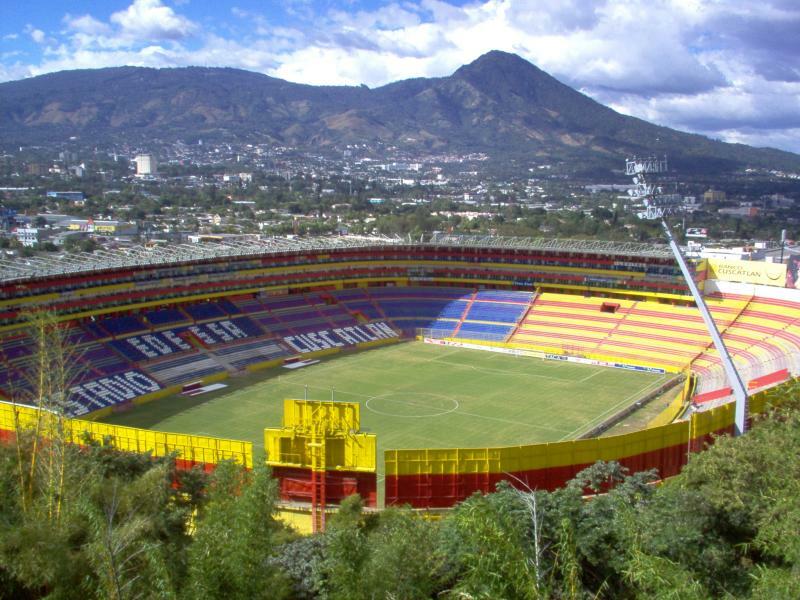 Estadio Cuscatlan is located in the south of the city of San Salvador, just over 4 kilometres south-west from its historic centre, just under 3 kilometres south-east from the Zona Rosa nightlife area, and a few kilometres west of the well-off Santa Tecla area. While various local buses connect with the stadium (ask around), the easiest way to get to the stadium is to take a taxi. Tickets for Alianza games can be bought at the Club shop at Merliot shopping centre at the Bulevard Merliot (in the west of San Salvador in the Santa Tecla area). Tickets are also available at the gates of the stadium on the day of the match. Ticket prices range from US$ 4.00 to US$ 15.00. Tickets for Atletico Marte games can be bought at the gates of the stadium on the day of the match. Ticket prices range from US$2.00 to US$10.00. Alianzafutbolclub.com.sv – Official website of Alianza FC. Clubdeportivoatleticomarte.com – Official website of CD Atlético Marte. Elsalvador.travel – San Salvador section of the official tourism site of El Salvador.